The company behind three of the best restaurants in Hanoi and Hoi An is betting it has the recipe for success in Ho Chi Minh City, too.Earlier this month, Hanoi-based Paradise Vietnam announced its arrival in southern Vietnam with the opening of Q Saigon, HOME Finest Saigon and Chopsticks Saigon. The new eating establishments join HOME Hanoi, Ngon Villa Hanoi and HOME Hoi An — all of which consistently rank on TripAdvisor among the top 10 dining venues in their respective destinations — in the Paradise restaurant portfolio. The luxury hospitality group also owns and operates some of Halong Bay’s finest lodging options, including a pair of 5-star hotels and a fleet of chic cruise ships. But with 10 more restaurants in the pipeline for 2018, Paradise could soon find itself at the head of Vietnam’s culinary table. While the three new restaurants have been conceived with its predecessors in mind, each has a style and flavor all its own. Q Saigon, which debuted Sept. 1 in the city’s third district, serves up fine Vietnamese food in the former home of legendary Vietnamese singer Ms. Hong Nhung. 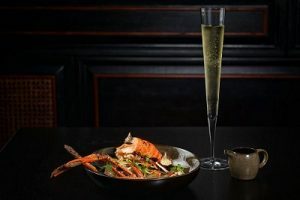 Executive chef Nguyen Gia Thien oversees a crew that works out of an open kitchen and uses only seasonal, local ingredients to concoct an array of gourmet dishes, including Marinated Beef in Coconut Flambe and Wok Fried Lobster with Crab Roe Sauce. At HOME Finest Saigon, also in District 3, guests are treated to fare a rung higher than that found at HOME Hanoi and HOME Hoi An — authentic Vietnamese food of exceptional quality — with a southern twist. 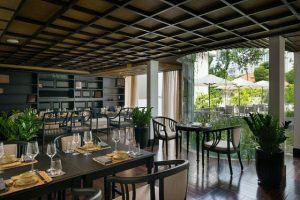 Headed by Nguyen Thanh Tung, who won Iron Chef Vietnam’s fourth episode in 2012, the restaurant also offers imaginative cocktails, an extensive wine list and an afternoon tea featuring a wide selection of Vietnamese flower and herbal teas and traditional cakes. Chopsticks Saigon, meanwhile, specializes in authentic-yet-casual Vietnamese cuisine, as illustrated by a menu long on fresh soups, salads and spring rolls. It too is in District 3, on the same plot of land where former Saigon mayor and South Vietnamese prime minister Tran Van Huong once lived.